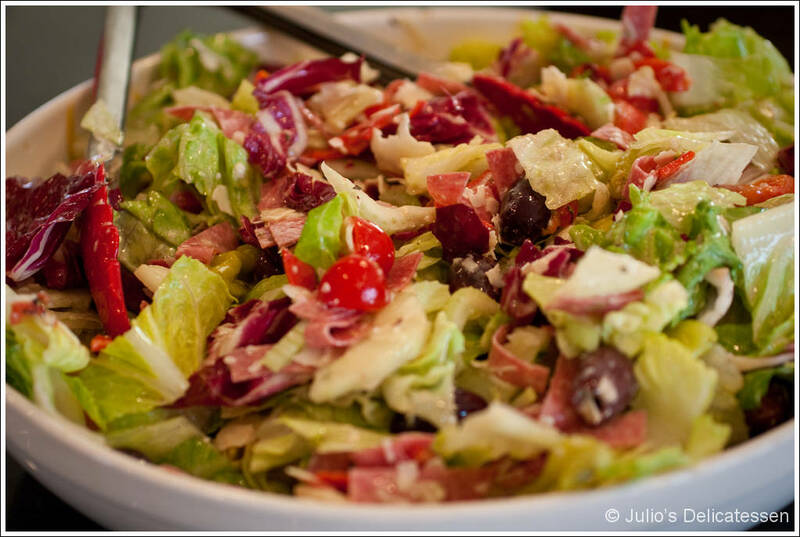 Our dinners include a salad more times than not, and it’s almost always the same. Typically, the only variable is the type of vinegar we use to dress it. I wanted to make something a little different for a party that I could serve as an appetizer (instead of serving it at the end of a meal as we normally do at our house). This fit the bill perfectly. Add the garlic and some kosher salt to a large bowl. Use a fork to mash into a smooth paste. Add the mayo, vinegar, oil, oregano, and pepper and whisk until well combined. Add all other ingredients, toss, and serve immediately.